How to do the Time Change with Older Children. When it is Daylight Savings Time or Daylight Savings Time ends, here are tips to transition your older children. While most parents with older children have probably realized what the time change is like with an older child, I thought a post might be helpful for those who like to look ahead and for future time changes. For tips with the time change for younger children, read here. The time change with an older child is a lot easier than it is with a baby. Your baby’s first time change will be the hardest, and the Fall time change is much harder than the Spring time change. If you are approaching your first time change or a time change with a baby younger than 12 months, be aware that it will be harder now than it is in the future. In the morning, they naturally were waking up at their normal time. I slowly pushed back the time I got them up. They are old enough that they will sit and entertain themselves in their beds until I get them (Brayden is close to 3.5 and Kaitlyn is 18 months). 1.5 weeks before the time change, we are 45 minutes past our normal waketime. After that, I pretty much keep the schedule the same. There have been a couple of days this week Kaitlyn has gotten down for her morning nap 15 minutes later than normal simply because we have to get our normal things in the morning. Bedtime stays the same, afternoon naps stay the same, etc. Once the time change actually happens (or perhaps as it gets closer), I will change the other items all at once. Older children are much more flexible than babies, so you can change things more at your convenience. I want them sleeping until the right time at the time change, but I don’t mind working with lunch, dinner, naps, and bedtime after the time change. Take note that while Kaitlyn is this flexible at 18 months, Brayden wasn’t at that age. He was more flexible at 18 months old than he was as a baby, but not as flexible as Kaitlyn at 18 months old. Do what works for your individual child and family. 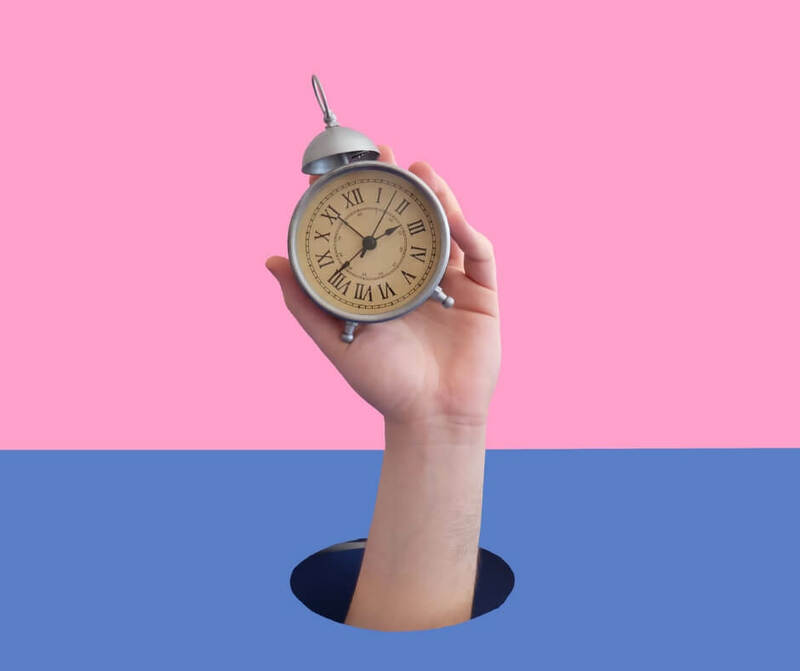 While you may have had a hard time with daylight savings time or daylight savings time ending (the time change) with a baby, it is much easier as your children get older. 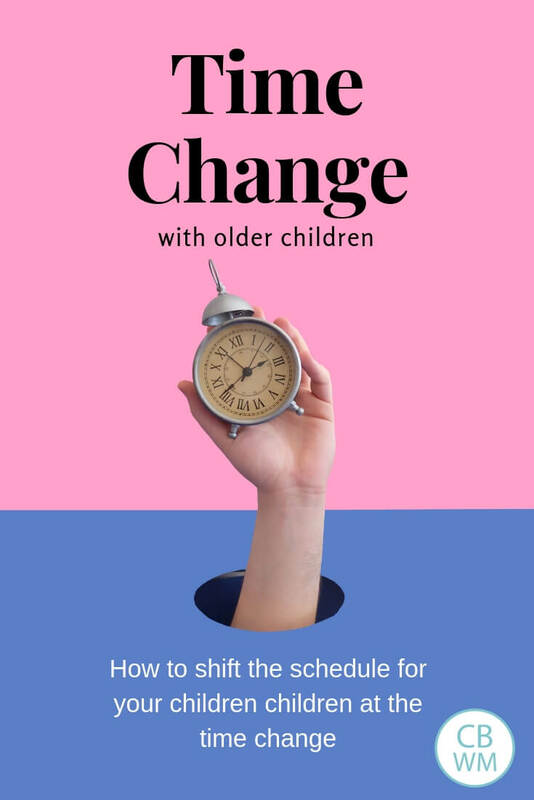 If you have a baby or an older child who still needs things more slow and steady, see my post on Shifting Your Schedule to slowly change the schedule in preparation for the time change. bleh I hate fall time change!! I usually just adjust the day before with the older kids…for their nap the day before the change, I put them down an hour or two later, and let them sleep well later than I usually do. Then they can stay up later for bedtime without being totally strung out and tired. We eat dinner much later than normal and they go to bed later than normal. Then voila! They are up at the “new” right time in the morning.but you are right, babies are tough, I have a four month old who JUST started sleeping consistently to at least 6 every morning. We’re going to have some pretty early mornings for a few weeks!! What about time changes when traveling? We are traveling to the mainland and the time difference where we are going is 6 hours(we are from Hawaii). We will be flying on the red eye so I can’t wake them early the day we are traveling to compensate.Our boys will have just made 2yrs and 9months both sleep until about 7 at home and go to bed between 7-7:30. Any ideas would be great I am also pregnant with #3 and am having a lot of ms so would like to make this as easy as possible. Also, ways to get these bed sleepers to sleep on the plane 1 in his carseat the other in my lap, it will be about 4 hrs past their usual bedtime. My son is 7.5 months and he consistently soaks through his diaper at night. He sleeps from 8p-730a, I have tried the next size up diaper and the overnight diapers. I’m tired of changing his bedding every day! any tips would be quite helpful! thank you! Reds.. we had the same problem with our oldest son, I think it is because they make shi shi forward instead of down like girls do so it leaks up the front.We found that the Huggies overnights in one size up works best for us. He is still soaked in the morning but it doesn’t leak out and that is what matters to me.Before we figured that out, we used rubber pants over the overnight to keep leaks inside that worked well but we live in Hawaii where it is warm all year and he was getting to sweaty, it might work in colder area though.Also we tried getting overnight pull-ups in a toddler size and put them over the overnight pamper. Because they are for bigger kids they come up high in the front and catch whatever the pamper cant! hope one of these works for you, I know how irritating it was changing his sheets every day! Reds, my friend has the same problem with her little boy. She changes his diaper while he is sleeping at 10 or 11 pm right before she goes to bed. I’m not sure how she technically pulls it off without waking him up, but she says that’s the only way she can avoid wet sheets in the morning. Good luck! thanks for all the advice, I will try anything at this point! Reds,I had the same problem with my twins. At Babies R Us, they have "Diaper Doublers". They look like pads (feminine protection) and they work like a charm. Rarely did they leak through. You just put the "pad" in the diaper and absorbs the extra urine. Give it a try.